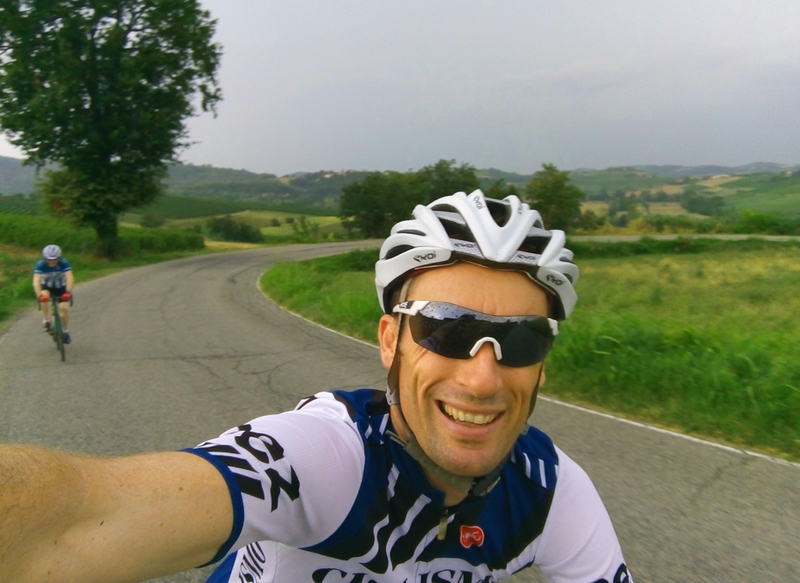 After 20 years at the helm of leading bike tour company CycleItalia that had a reputation as one of the best organized and well run in the business, partners Larry and Heather have changed focus in 2018 to concentrate on a new venture - Piedmont Cycling Resort. The obvious question in my mind as I drove there though, would be why? 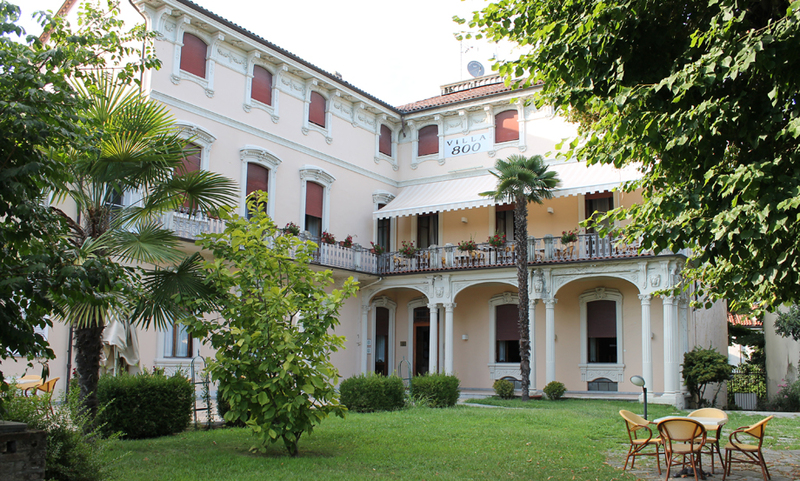 Why slow down the successful and highly popular tour group side of the business and concentrate on just one hotel when Italy has so much to offer? On arrival in the region and the first look at the hotel though I understood - Magnifico! As Larry told me on arrival, "We've been coming to this hotel for almost 20 years and so many times guests on our tour groups have wanted to stay longer and asked us for more that we finally decided, yes - let's do it! The family that runs the hotel make both us and our clients feel like a part of the family and the region and the food is simply to die for. It's perfect!" Perfect is a big call and having experienced some 'Bike Hotels' in the past that were really just hotels with an afterthought for bike riders, I was reserving my decision on 'perfect'. 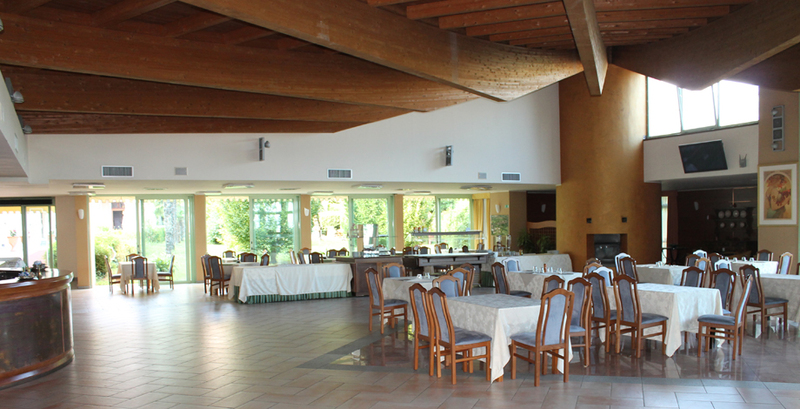 Larry has also experienced such things in his almost 30 years in the business though, so when he decided to go into partnership with the 4 Star Hotel Ariotto and create the Piedmont Cycling resort, he wanted to do it right. 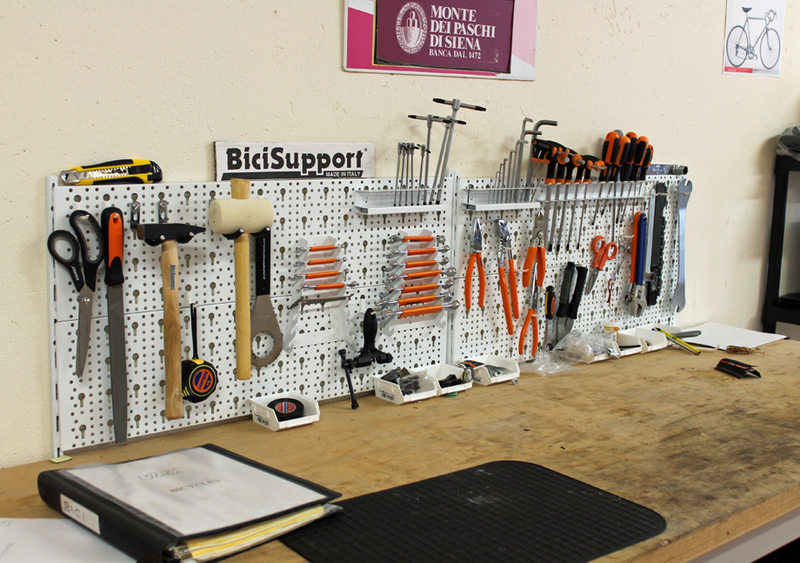 First stop was a workshop and safe area for the bikes with the hotel providing an enormous locked room that Larry and Heather have managed to fill with their large fleet of rental bikes from Italian builder Favaloro and a very comprehensive tool bench filled with all the tools a bikeshop would have. He also has dozens and dozens of stems and SMP saddles to provide the perfect bike fit if you decide to leave your rig at home and rent one of their bikes. 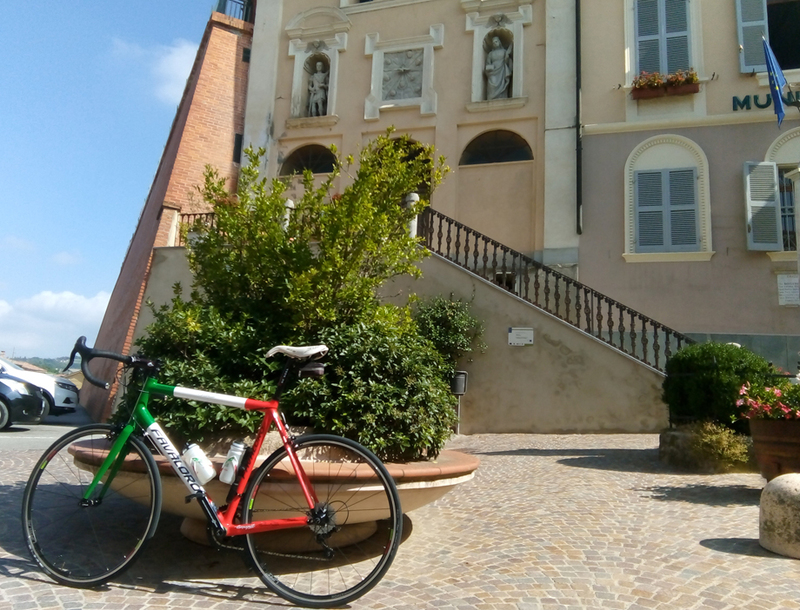 I chose to use the rental bikes for my trip as it was unfortunately just a quick stay with just 2 nights (the minimum stay with Piedmont Cycling Resort) where I would collect my 75 year old father who just flew in from Australia, and neither he nor I wanted to travel with our own machines. Larry had emailed me a comprehensive fitting guide that I sent back with our measurements, so when we arrived we had two bikes all set up and ready to go. 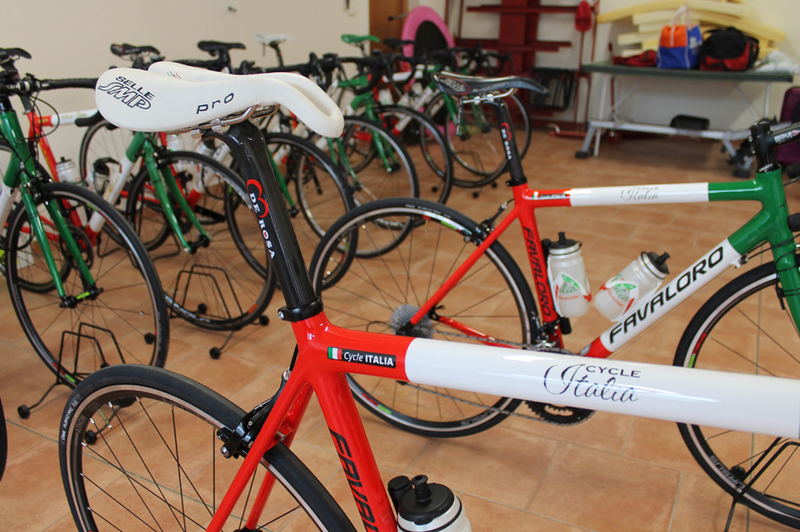 And speaking of bikes, these were no ordinary run of the mill rentals - they were full custom, carbon fiber, hand built in Italy Favaloro's from local builder Michele Favaloro. 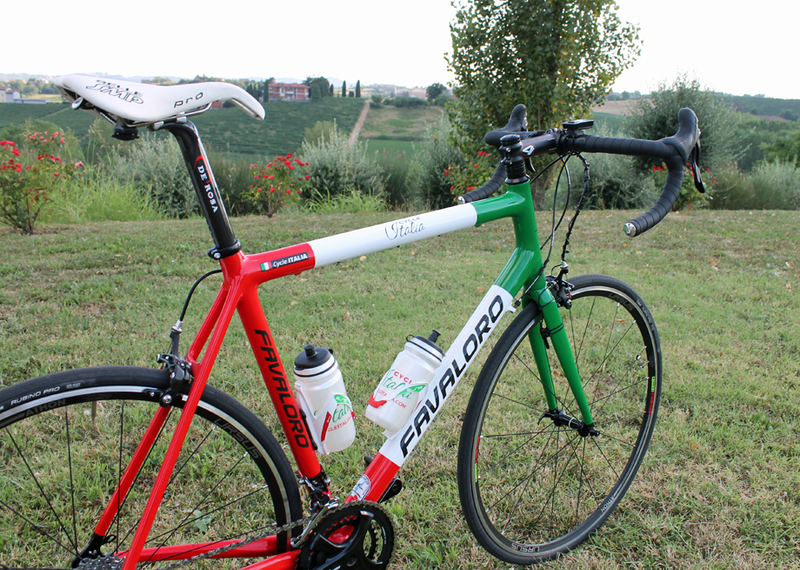 Decked out in Italian colors with a full Campagnolo drivetrain (of course! 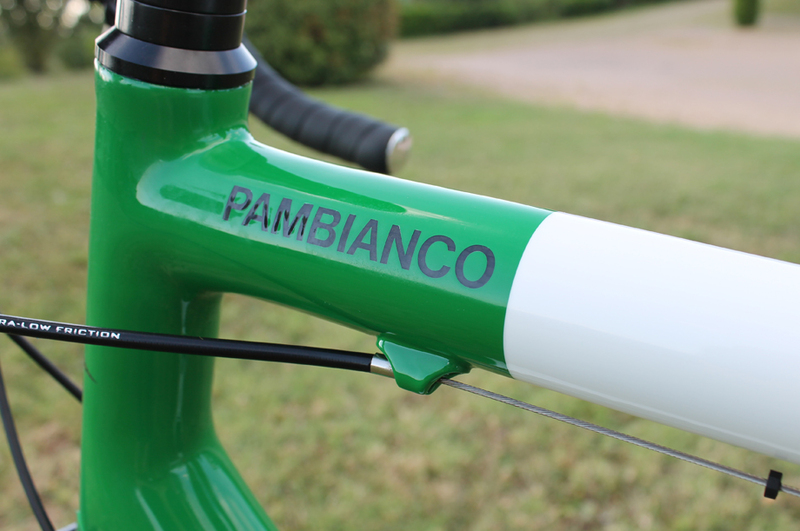 ), the bikes were individually named after Italian winners of the Giro d'Italia. After a quick spin on the trainer, I decided on moving (ok asking Larry to move) my saddle 5mm forward and then Pambianco and I were ready to hit the road. Our first ride was only going to be a short spin as it was starting to get late but just from those first few miles I knew that tomorrow's bigger ride was going to be special. The area just lends itself to great riding with small roads crisscrossing amazing countryside and historic villages on every hilltop. 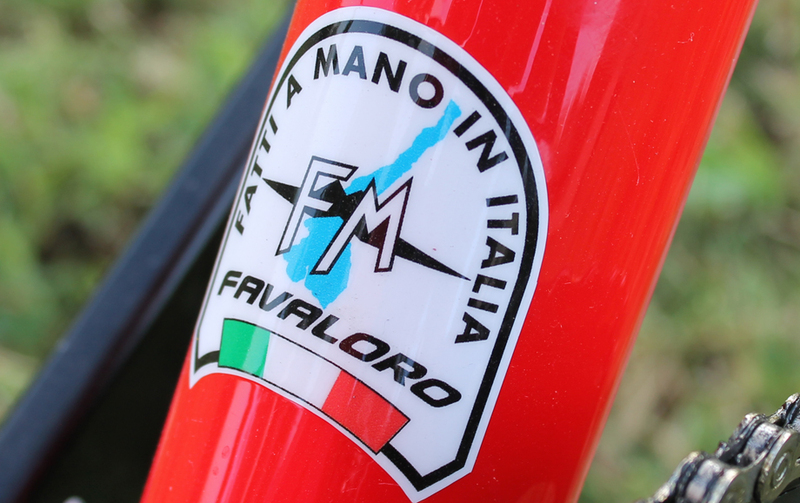 Topping this off were the Favaloro bikes that inspired confidence on the descents, felt very comfortable and let's face it - they looked good. Tomorrow was going to be fun. 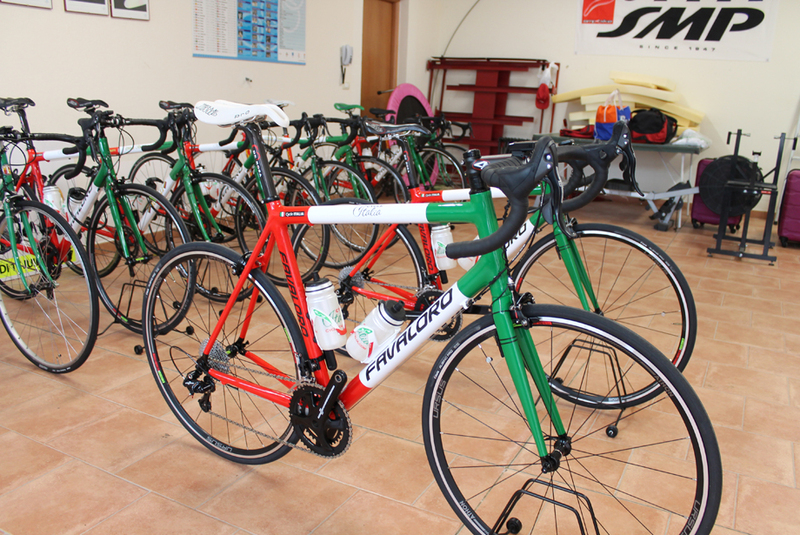 Apart from the amazing rental fleet, and more tools, saddles, tires and stems than the local bike shop and a great bike storage room, you might be thinking that Piedmont Cycling Resort could be just another 'Bike Hotel' - not true! 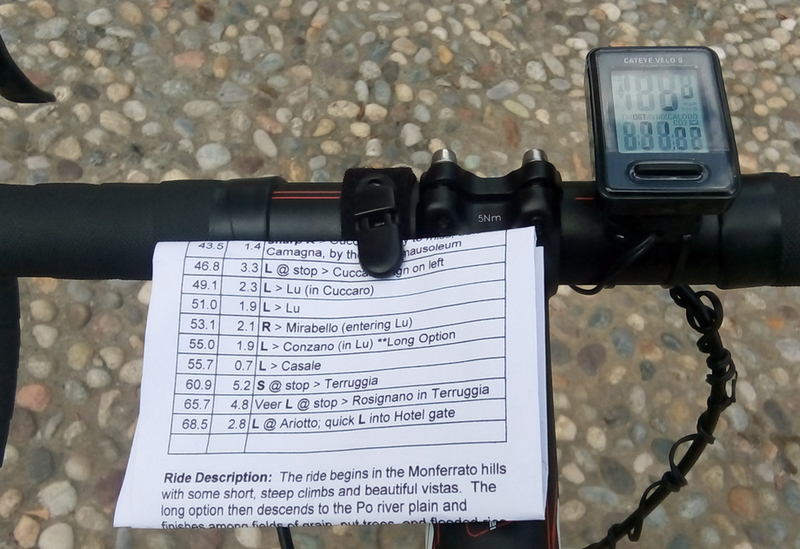 They also offer many different ride options from guided rides where Heather and Larry will join you on the bike and show you the roads, or self guided tours where they provide the maps and itineraries. 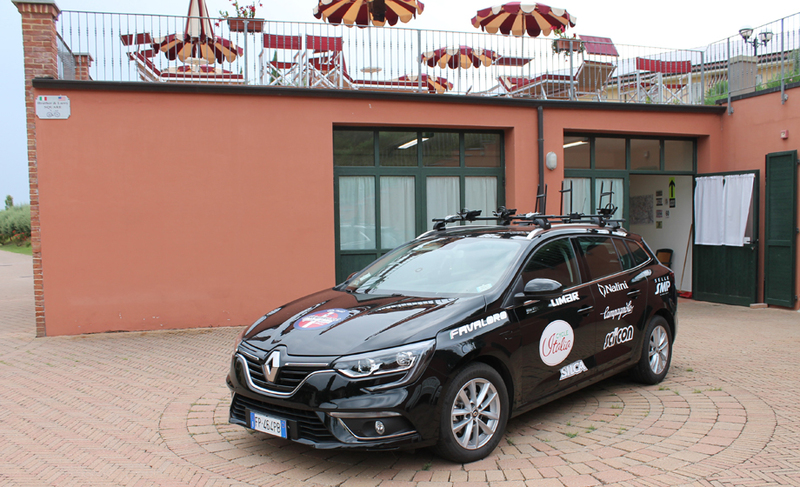 Finally, they also offer the 'pro style' ride where you are supported by a full on team car - the option that I chose for this late, short ride in unfamiliar territory. 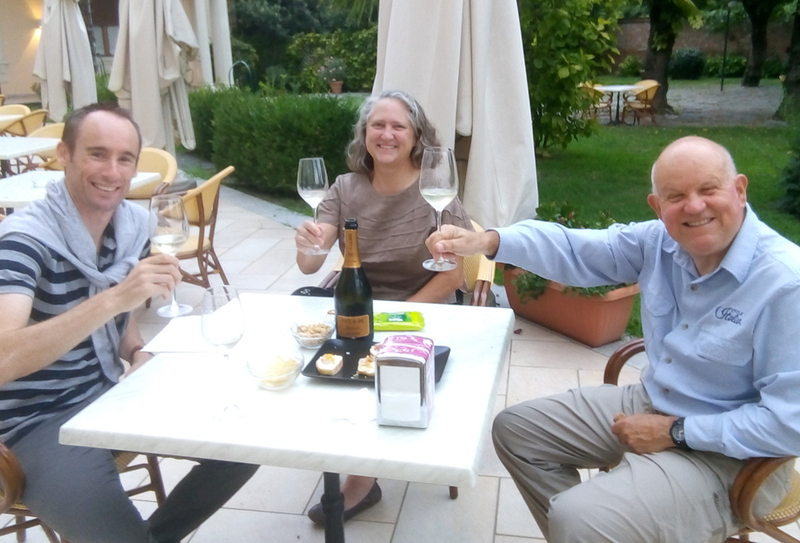 ...and then with some nice Italian Prosecco and the company of Heather and Larry for a pre dinner appetizer on the hotel terrace. 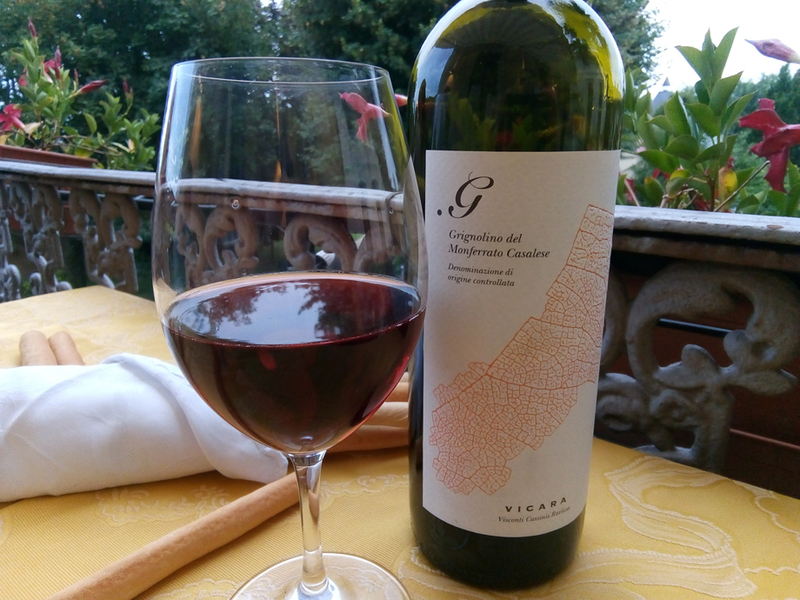 With a very relaxing swim and the warmth of the prosecco and the hospitality doing their job it was then on to the hotel's restaurant for dinner on the balcony overlooking the grounds. It was here that the second part of Larry and Heather's motto of, 'Pedala forte, mangia bene' or 'pedal hard, eat well' came to the fore. I hadn't really pedalled hard yet having only had an enjoyable first evening spin but the eating well part was about to come true in a big way. One of the local wines that I sampled that night.....superb! Larry and Heather certainly know the best wines of the region. Chef Paolo served up a simply delicious three course meal that set the tone of Larry and Heather's ideas with the Piedmont Cycling Resort - Yes, come to the region for the amazing riding but stay for all the best things that Italy and specifically the Piedmont region have to offer like the wines, cheeses, risottos, pastas, desserts and more. After an evening full of intense carbo loading and good company we were ready for the riding the next day. Just because I'd had a copious meal the morning before doesn't mean I didn't hit the breakfast buffet hard the next morning! After agreeing on a departure time we met Larry and Heather appropriately at Larry and Heather Square in the morning and set off for our guided ride followed by a light lunch at a local restaurant. The day dawned clear and warm and the countryside was simply stunning. The region is paradise for bike riders with a myriad of small roads running in all directions as they explore all the tiny hilltop villages and scenic sights en route. 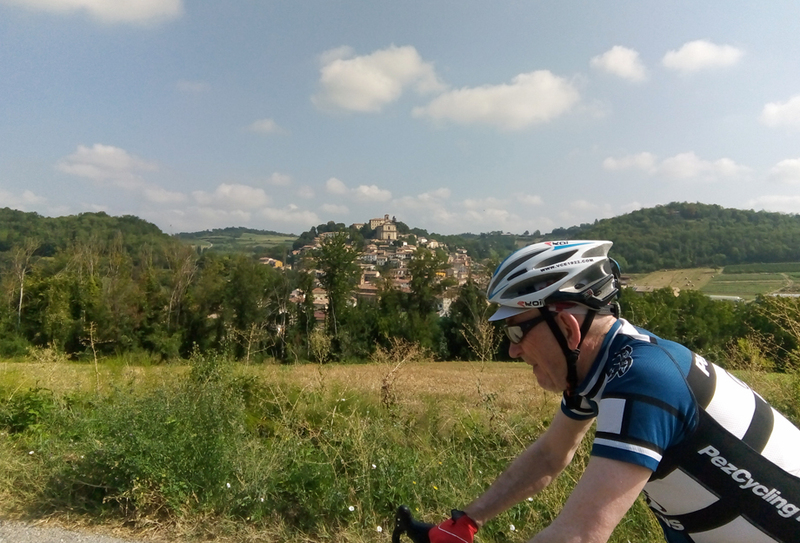 The roads are generally in very good condition and the constant corners, scenery and undulations made the riding highly enjoyable - increased further by having Larry and Heather along for company to provide interesting commentary and stories about the region. They were both extremely passionate about Italy, the local products and the region in particular and this passion came through in their delivery style of this guided tour. I never at any point thought they were just putting on a good show as I was a journalist - their enthusiasm and love of Italy is genuine, and I think they'd act exactly the same for any client and make anyone feel at home with them, the hotel and the places we visited. They're also well known in the region so when we stopped for a mid-ride drink the barman and workers all came over for a chat and this familiarity is very different from other tours I've experienced in the past. Yes, I was a visitor but I was made to feel like family from everyone I encountered and the whole 'small world' experience really added to the atmosphere. A quick pause in yet another cute little ancient village. After a morning full of discoveries and an excellent lunch we were now going to hit out on our own and continue on another loop on the self guided option. Larry and Heather have divised a number of circuits all around the hotel that cater from the small flattish 30km spins to the more challenging circuits of varying distances and it was a combination of two of their favorite loops that would see us safely back to the hotel - taking in every local village, piazza and church on the way of course. The region is simply dotted with hilltop villages and it was a pleasure to navigate our way to them in what really is an authentic corner of Italy. ...which of course didn't happen to me! Just checking the map Dad, I promise. We of course made it back to the hotel and the awaiting pool and luxury with huge smiles on our faces after one of our best rides ever as Father and Son - not a mean feat with more than 25 years of riding around the world together under our belt. 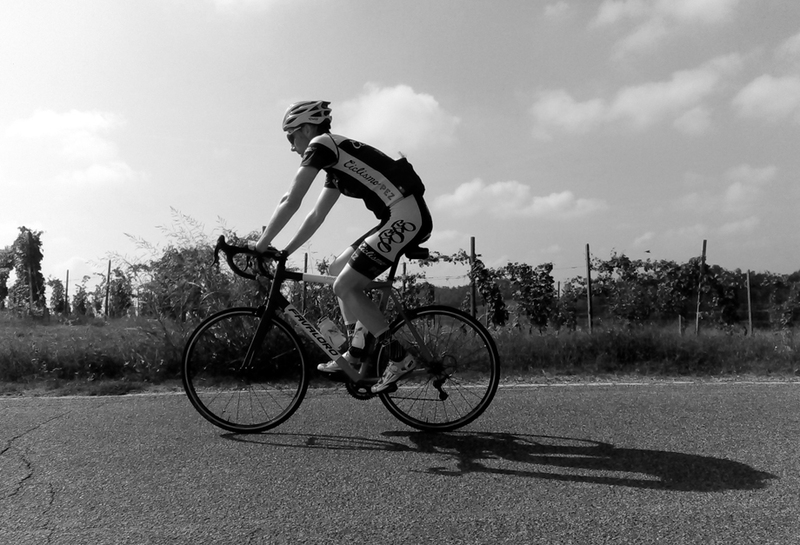 Super region, great bikes, excellent hosts and a perfect hotel. 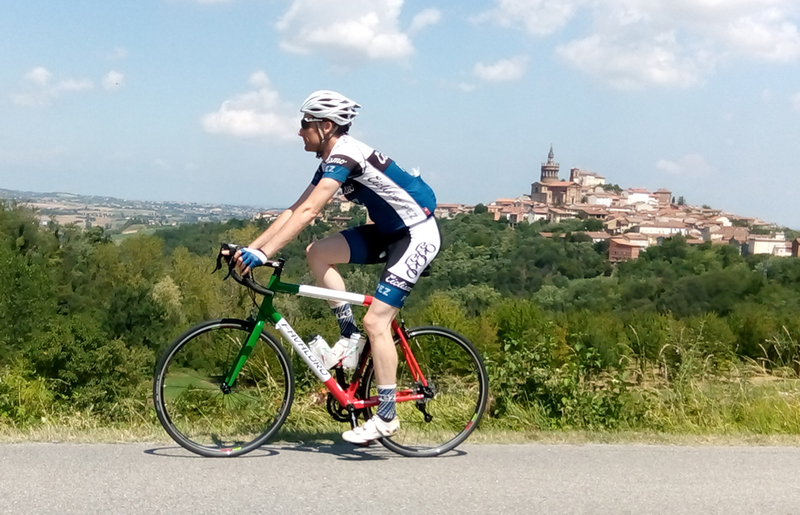 I now understand why CycleItalia have decided to scale down their point to point tours and concentrate more on the Piedmont Cycling Resort. 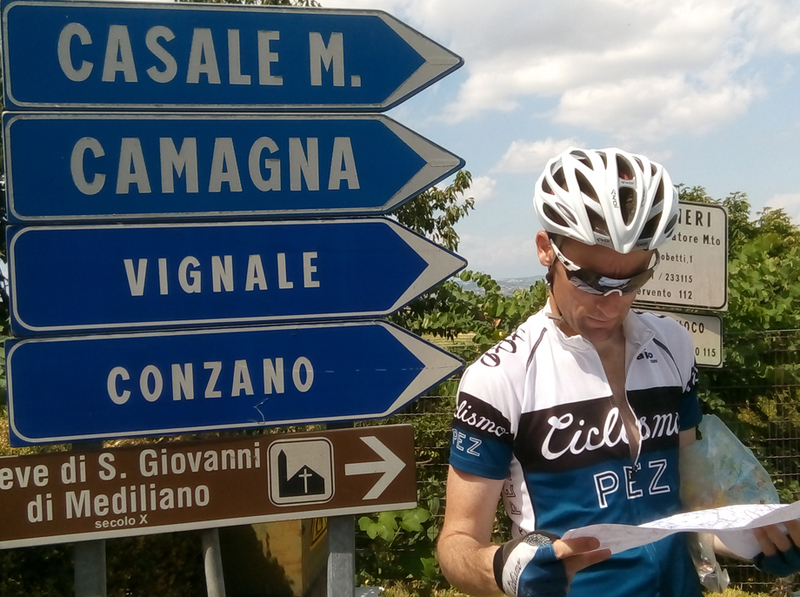 Chris Selden has been riding and racing his bike around the world for the last 25 years and writing for PEZ for the last 15. You can follow Chris and his adventures in the South of France on his instagram page.